Georg Jensen Cover Bowl No. 180A. 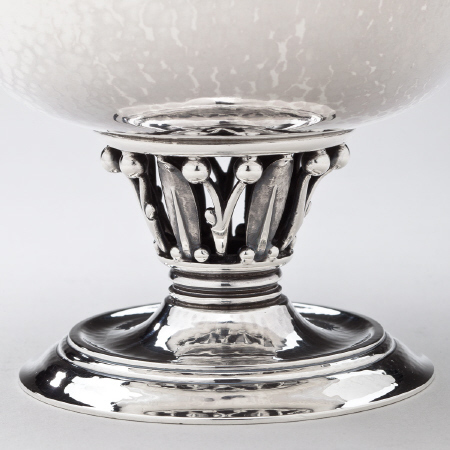 This covered compote was designed by Georg Jensen in 1918. 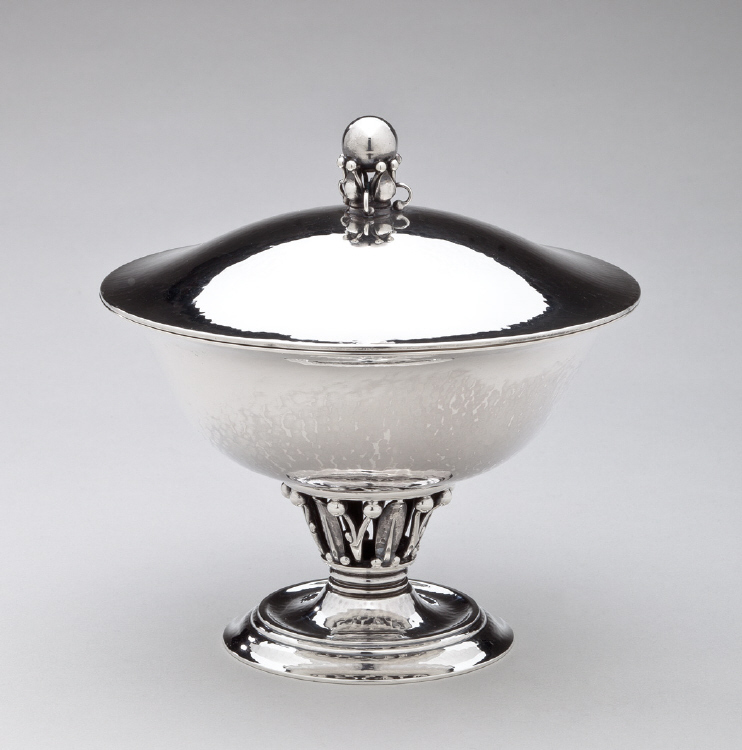 This covered pedestal dish measures 5 inches high and 4.75 inches in diameter. 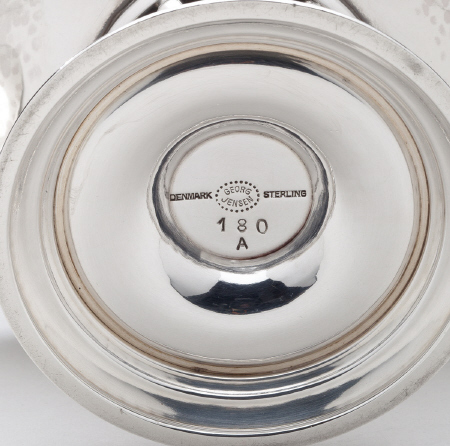 This bowl bears impressed company marks for Georg Jensen, Sterling, Denmark, 180A. This item is in excellent condition.